We are living in a transformative “watershed” moment in U.S. history. For most of us, these are exciting, inspiring and powerful words. For others, they’re uncomfortable, even daunting. And for the hundreds of thousands of organizations around the world working with women and girls on an everyday basis, they remind us what we’re striving for, and why we do it. As an organization that cares deeply about advancing issues of gender justice and wants to speak into this thoughtfully, it is critical for us to answer this question. Well, here’s our answer: It’s everywhere. Our women’s empowerment programming is embedded in all that we do at World Relief, because transforming how men and women live, relate and honor God in their relationships is at the very heart of what we do. Our approach to gender justice is infused in all that we are and all that we do. It is true that we don’t currently have a broad myriad of programming aimed solely at women or girls. Of course we have some, such as trauma-care groups for sexual and gender-based violence victims in the Congo, maternal health programs for mothers and teen clubs for pre-adolescent girls, to name a few. And we know this kind of specialized and dedicated programming is critical. But as an organization, we don’t focus heavily on dedicated ‘women’s-only’ programming, as other organizations might. And yes— this is intentional. We do this because we recognize that women and girls don’t exist in isolation. They live, they work and they go to school in community. And only with community transformation will gender reconciliation, empowerment and transformation truly occur. 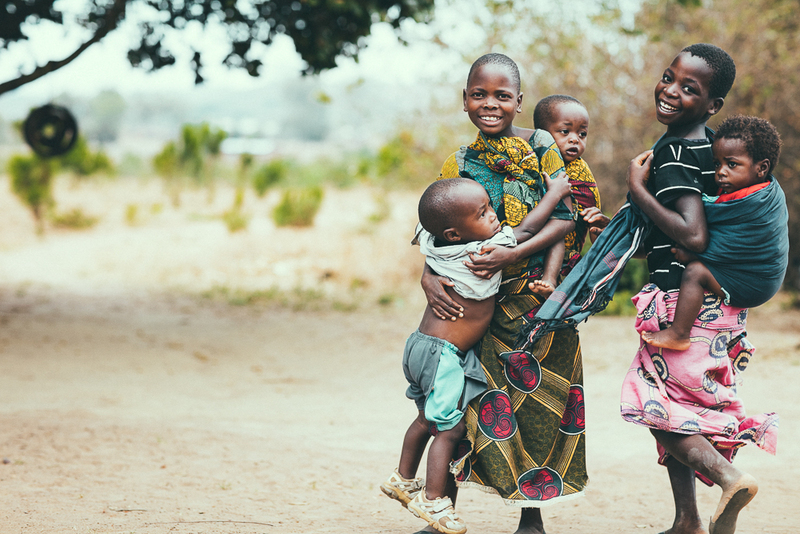 At World Relief we believe in approaching female empowerment through the family structure. Particularly in Sub-Saharan Africa, the vast majority of women and girls are socially located within a family unit that dictates and defines their identity, beliefs and behaviors. Therefore, meeting them in this place, and intentionally including the men of the household in these interactions, as part of the solution, is the most effective way of impacting sustainable change across a multitude of areas— physical, social, emotional and spiritual. Our transformative curriculums—focused on God’s truth that each man, woman and child are made in the image of God—drive this innovative approach to relief and development. We believe that unless relationships have been transformed so that both man and woman, boy and girl, are equally valued, given equal opportunity and are equally empowered, the impact of our programming is compromised. To illustrate the power of this unique approach, I’d like to tell two stories about Salina, a young wife and mother from Malawi. The first is a fictitious tale that reveals what can often happen when gendered programs are implemented without regard for internal household and community dynamics. The second, Salina’s true story, reveals the power of World Relief’s gender integrated approach. In the first of these stories, Salina joins a savings group. She has great hope that this program will change her life. At first, she is encouraged by the community of women and the potential opportunity. Yet it’s not long before her husband, Chilaw, becomes resentful of the profitable women’s program. When Salina takes home her savings, Chilaw takes her hard earned money for himself, and spends it frivolously. Salina is unable to invest in what she’d hoped— nutritious food for her children, health insurance and school fees. Her girl child, Charity, in particular, remains malnourished and uneducated. Though Chilaw brings home produce from a local agricultural group, both parents prioritize food for their son over Charity. They sell the remaining produce at the market and send their son to school with their earnings, but Charity remains at home doing household chores. She has no self-worth and is awaiting the day when she’ll be married for a bride price and step into the same life her mother has had. Salina’s home is trapped in a vicious cycle of economic, social and relational poverty. But now let’s rewrite this story. In the real story, Salina hears about a savings group. She wants to join, but she’s afraid of what her husband might think. After all, he is the decision maker of the family. Nevertheless, World Relief hears of Salina’s interest and encourages her to join. Simultaneously, a local church volunteer meets with Salina and her husband, Chilaw. They explore a transformative curriculum which teaches Chilaw about his wife’s inherent value and worth. He learns that she is also created in the image of God, deserving of love and respect and possessing a God-given potential that must be nurtured, honored and developed. He encourages her to go to the local savings groups and when she saves money, they sit and talk together about how to use it along with the money Chilaw earns from selling his agricultural produce. Salina and Chilaw also learn about the value of their daughter, Charity, and decide it’s time to send her to school with the money they’ve saved. Now that Charity is in school, World Relief encourages her to attend the local adolescent girls club. Chilaw thinks it’s important for his daughter’s wellbeing and development, so he also encourages her to go. Charity learns about the power of her education and the perils of early marriage and sets goals to go to university. So. Can you spot the difference? In both stories, savings, agriculture, nutrition and adolescent clubs are in place, yet only in the second of these stories do these programs have a restorative, transformational and generational impact on the lives of Salina and her family. The real transformation comes mostly prior to the programmatic benefits—within the home, at the belief and value level. This is the power of our restorative gender work. We know savings, agricultural and countless of our other technical programs work most effectively when they build upon the foundational work that has been done within the home, between husband and wife, parents and children. Without this core transformation, Salina, her daughter and the generations of women who will come after them are trapped in a vicious cycle of marginalization and poverty. With it, however, change is truly possible. A better future exists for Charity, her daughters and her granddaughters. Their story has been rewritten. At World Relief we see the empowerment of women and girls happen not because our programming is exclusively focused on women and girls, but because we work to ensure the whole community recognizes and respects the voices, roles and unique gifts of these women and girls. Women’s agency, dignity, opportunity and empowerment come not just from technical programs, but from a deep, internal community understanding and drive for each and every one of their community members—men and women, boys and girls—to reach their full, God-given potential. So—where is our women’s empowerment programming? This is how we are achieving real and lasting change for women and girls around the world. Francesca Albano currently serves as Product Development Lead at World Relief. With a background in Cultural Anthropology and a graduate degree in Strategic Marketing Communications, she connects her interests in societal studies and global cultures with her training in brand strategy and storytelling. Francesca is especially passionate about grassroots community development and the treatment and advancement of women and girls around the world.